Rather than a sign of looming change, opposition victories in several major cities in Turkey’s March 31 elections mark the rise of more right-wing nationalism, said an analysis in The New York Times. The defeat of President Recep Tayyip Erdoğan’s Islamist Justice and Development Party (AKP) and its ultranationalist electoral partner Nationalist Movement Party (MHP) in mayoral races in Ankara, Istanbul and other major cities has led many to argue that Turkey is on the verge of change. 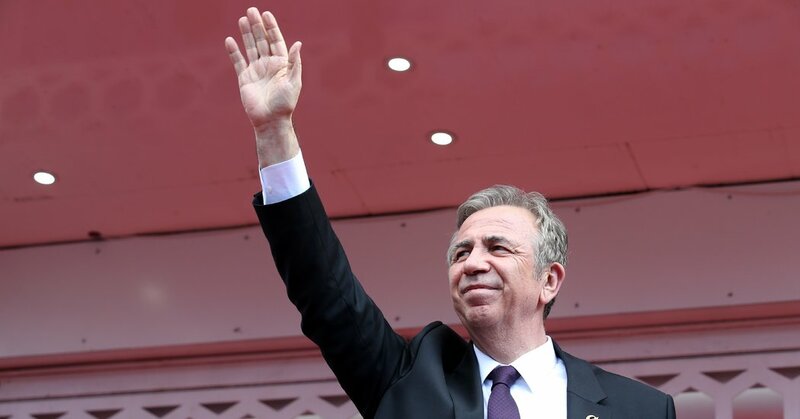 Officially a social democratic party, the CHP has endorsed the imprisonment of elected Kurdish politicians and nominated nationalists such Mansur Yavaş, a former MHP mayor in the Ankara district of Beypazarı who is now CHP mayor of Ankara, Turkey’s capital. CHP leader Kemal Kılıçdaroğlu has said he “loves” the ultra-right nationalists. As interior minister in the 1990s, Good Party leader Meral Akşener oversaw a dirty counterinsurgency against the Kurds, according to Karaveli. “Fundamentally, Turkey’s democratic evolution has been hampered by the absence of a democratic leftist alternative,” said Karaveli. The authoritarian right has long held sway, while the left has been ruthlessly oppressed since the days of the country’s founder, Mustafa Kemal Atatürk, according to Karaveli. “The history of Turkey has been shaped by class politics that are obscured by a misleading narrative that pits Islamisation against secularism,” said Karaveli. “Closer inspection reveals that Turkey’s secularists and Islamists represent the two shades of the same right-wing ideology, which includes a commitment to unrestrained capitalism, hostility to labour, conservatism and nationalism. General Kenan Evren, who took power in 1980 after a coup, urged people to embrace religion to ward off the threat of socialism. His government imposed a neoliberal order, made religious education mandatory, and opened new religious schools. The AKP won by championing the religious culture of the masses, but favoured the economic elite after coming to power, according to Karaveli, adding that income inequality had increased under Erdoğan. Between 1975 and 1980, security forces and MHP paramilitary gangs killed thousands of leftist supporters, students, intellectuals and labour activists, according to Karaveli. “Last month, President Erdoğan paid tribute to this heritage when he ordered a university in the city of Adana renamed after Alparslan Türkeş, the founding leader of the MHP, who led the bloody campaign,” said Karaveli. Kılıçdaroğlu endorsed this decision, even though Türkeş’ death squads had attempted to kill CHP leader Bülent Ecevit in the 1970s. The opposition parties challenging President Recep Tayyip Erdogan offer another version of the right-wing nationalism of his party and its nationalist partner.